Sales of American Eagle silver bullion coins raced in January with buyers ordering 99.2% of the month’s supply. The U.S. Mint’s flagship product scored a January sales total of 5,954,500 coins, the most for a month in three years. More of the 1-ounce, .999 fine silver coins could have sold but the U.S. Mint has rationed their distribution because of silver planchet shortages. Allocations of the new 2016-dated American Silver Eagle were set at 4 million for their release week beginning Jan. 11; another 1 million for the following week starting Jan. 18; and 1 million more for the final week of the month. The Mint’s network of bullion distributors have bought all that they can whenever they can, with one exception. They left 45,500 on the table last week. Those were added to this week’s allocation, which was established at 1,045,500 coins according to a Mint email sent on Monday to news editors. January 2012 at 6,107,000 coins. 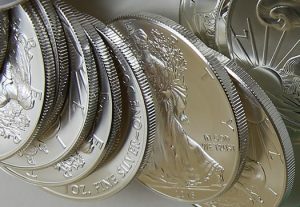 U.S. Mint bullion sales in January tend to be higher than at other times because the month offers the first opportunity to buy the year’s newly dated coins. In headline comparisons, sales in January soared 155.2% over the 2,333,500 sold in December and jumped 7.7% higher than the 5,530,000 delivered in January 2015. Last year’s Silver Eagle went on to notch an annual sales record at 47 million. Other world mints also posted robust gains in 2015 with global silver coin sales reaching a record 130 million troy ounces, according to The Silver Institute. This year could be just as hot or hotter. "Demand will remain elevated this year as investors take advantage of relatively lower metal prices in the first few months of the year," The Silver Institute said in a report released Jan. 28. "Increased interest in safe haven assets, as already seen in the first few weeks of the year, will also be positive for physical silver investment demand." 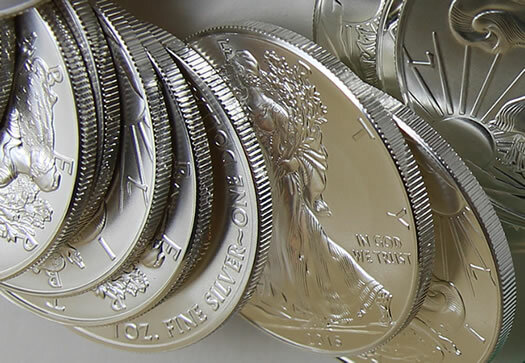 The United States Mint does not sell bullion American Silver Eagles directly to the public but through a network of authorized purchasers who buy them in bulk at melt value, plus a premium of $2 per coin. AP’s consist of major coin and precious metals dealers, brokerage companies, and other participating financial intermediaries. The limited availability of Silver Eagles has given sellers a reason to charge higher premiums. Today, consumers are paying from about $4 to $5.50 per coin over spot with discounts offered at larger quantities.